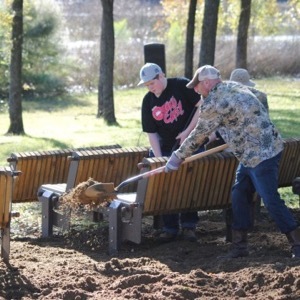 Southwest Airlines volunteers spent a weekend in November making park improvements at Hines Park. Photos courtesy of Elizabeth Jones/Trinity Park Conservancy. Volunteers from Southwest Airlines recently spent the weekend giving Hines Park in Dallas some love. The work day was cohosted by local nonprofits Trinity Park Conservancy and Groundwork Dallas, both of which focus on developing outdoor areas along the Trinity River. Southwest employees have previously volunteered at the park, located at 9701 Harry Hines Boulevard, and played an important role in its development over the past three years. “This park is completely unrecognizable from when I first came here three and a half years ago,” said Aaryaman Singhal, chief operating officer for Groundwork Dallas. "It’s beautiful." Singhal said on a recent November weekend, volunteers made wildflower seed balls, cleared invasive bamboo, fixed a fence that keeps trash out of the park, planted native plants, picked up litter, filled dirt into eroded areas and made significant progress in developing a rock garden/staircase, which a trail crew is working to complete. 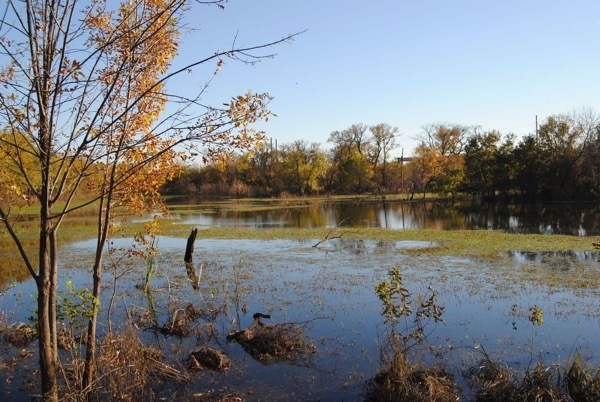 "These improvements will not only make Hines Park look nicer, but also solve an erosion issue at the park and provide a resting place for pollinator species like butterflies, which migrate through the Dallas area," said Singhal. 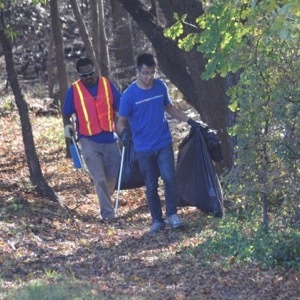 Groundwork Dallas hosts at least one Saturday Volunteer Day per month at Hines Park where volunteers clear litter and debris or otherwise improve the park. After two years of picking up trash, Groundwork Dallas also built and maintains a loop trail around the park. Their most recent additions to the park include a bird observation deck and amphitheater. As a result, the park has attracted new advocates.